Contaminants commonly found in drinking water, including chemicals and organic materials, pose a serious risk to your health. 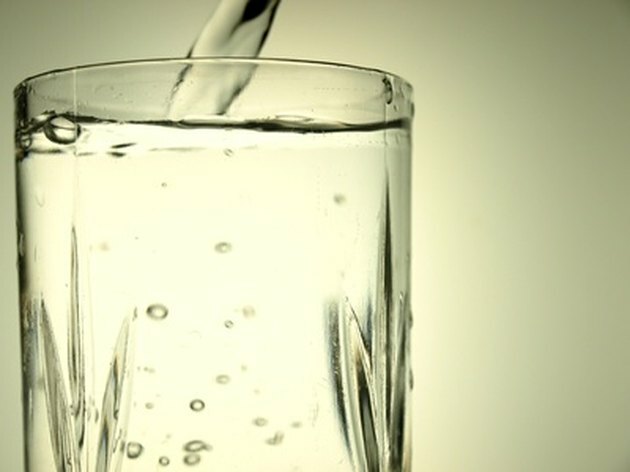 According to the North Carolina Cooperative Extension Service, drinking contaminated water can have immediate health effects, such as nausea and dizziness, as well as long-term effects, such as cancer, disorders of the nervous system and liver and kidney damage. Water filtration systems such as Brita water filters provide a way to remove contaminants from drinking water, ensuring the water is safe to drink. The Brita Company manufactures standalone filters and installed water filtration systems. Standalone filters include portable pitchers and dispensers. Installed water filtration systems include faucet filtration and refrigerator water filters. No matter which Brita water filter you choose, all feature a removable filter you must replace regularly. How often you change a filter depends on the type. Pitcher and dispenser filters require replacement every two months, faucet filters require replacement every four months and refrigerator filters should be replaced about every six months. Reminder features, such as flashing or solid colored lights, and calendar dials help you determine when it is time to replace a filter. Brita pitchers feature a recyclable filter. You can mail in a used filter or find a drop-off location by checking the company website. Recycling the plastic filter casing helps create products such as toothbrushes, cups and food storage containers. Brita water filters work by using an activated charcoal and ion exchange filtering system. Although the exact filtration process Brita uses is “patented,” a look at how a typical activated charcoal and ion exchange filtering system functions can give you a general idea of how the process works. According to HomeWaterPurifiersAndFilters.com, filtering occurs through adsorption and catalytic reduction. In this process, the pores of the activated charcoal trap larger particles and positively charged materials in the carbon filter attract negatively charged ions in smaller water contaminants, causing them to stick to the filter. The size of the mesh screen in the filter determines its effectiveness. In addition to providing health benefits by removing certain chemicals from your drinking water, Brita also provides health benefits by leaving some in. Due to the importance of fluoride in preventing tooth decay, Brita water filters remove only a small amount of the fluoride present in drinking water. The company cites recommendations by both the American Academy of Pediatric Dentistry and the U.S. Centers for Disease Control and Prevention that fluoridated water is the most effective way of getting enough fluoride as the reason for not filtering it from your drinking water. You can also recover the cost of the system and replacement filters by not buying water bottles. According to company literature, one pitcher filter can replace up to 300 standard size 16.9-ounce bottles of water. Brita recommends determining water quality before purchasing a water filtration system. Once you are aware of the materials and chemicals present in your drinking water, you will be in a better position to purchase a system best suited for your needs. If you have city water, you can get information on water quality from your local water department. If you get water from a well, the U.S. Centers for Disease Control recommends contacting your local health depart for assistance in locating an agency qualified to test your well water.